Your Art. Customized for You. I would be thrilled to work with you to create art specifically for you or your client's space. I am currently accepting bookings for painted portraits of all kinds: land, home, pets, people, and meaningful things. I limit the number of commissions I take on to ensure I can dedicate adequate attention to each client project. Whether you’re looking for original art, reproductions, photographic prints, or digital art, we can decide upon the right art for your purpose, keeping in mind your needs, desires, available space, and even colour palette. While I prefer to work from my own experience and images, I will happily consider using your images, particularly from that memorable trip and for posthumous portraits. This is where I will get to know what you want. We will start to talk about the subject matter, sizing, resource materials, and possible photography sessions. If this will be for a gift, I'd like to learn what you believe will be important to express in the art for the recipient of your gift. Based on the consultation and resource materials, I will create a digital or hand-made sketch(es) to give you a general idea of the direction I would head. As appropriate, I can show you different size options in your space for your preferred option. We can discuss framing options, too. I will use the sketch(es) as a starting point, leaving room for creative flow in the work. I will give you an opportunity for viewing and minor tweaks before finalizing the piece. 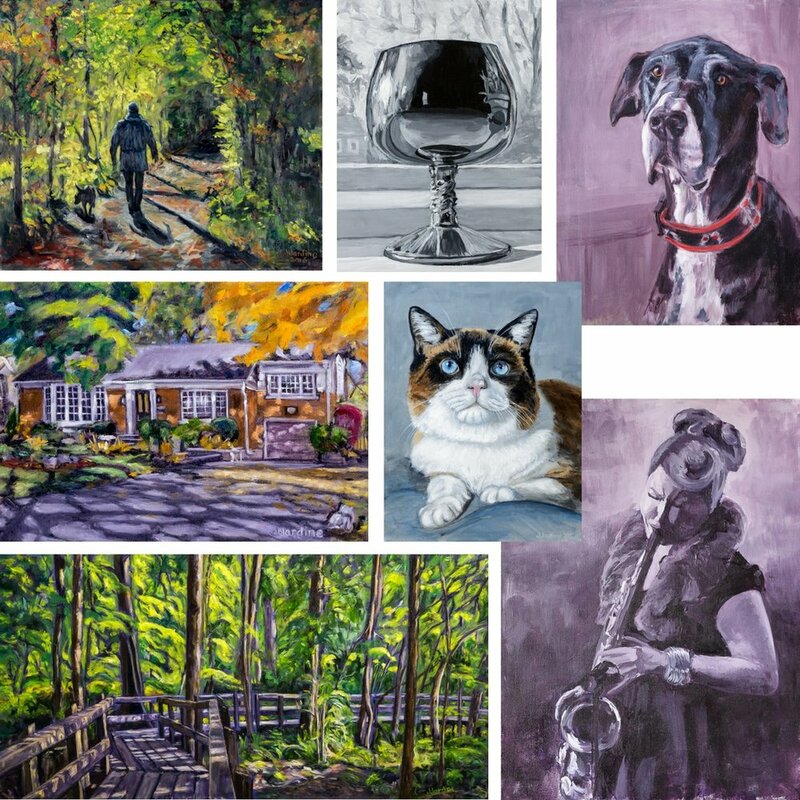 When your art is dry (typically 4 to 6 weeks for oil paintings), I can deliver and hang the art for you, ship it to your door, or you can pick it up at my studio.